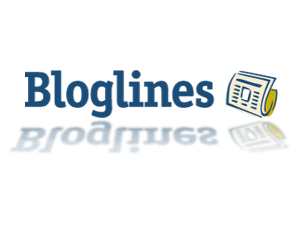 I came to a startling but not completely unexpected realization earlier when I learned that RSS aggregator, Bloglines, is dead. For a few years, I was an avid and regular user of the service, which was a free blog search engine and aggregator. You could use it to discover blogs related to your interests, then subscribe to them in a convenient fashion -- allowing you to receive only the content you chose, and read and engage directly from the site. For a while, there were tons of aggregator sites. My Yahoo! still allows you to add RSS feeds but they have become notoriously unreliable. Luckily, Firefox at least still has LiveBookmarks which allow you to subscribe to RSS feeds directly from your browser. However, I am going to have to design my own page which better presents my RSS feeds, the way sites like PageFlakes used to. There is simply no time for me to visit every outlet I want to follow on a regular basis, especially since many of them update several times a day. Further, a lot of my interests are currently rather mainstream, so the stories in which I am most interested are posted and reposted ad nauseam across almost all of the outlets I follow. I like the option of simply not clicking on them more than having to scroll past them. However, I am far more enticed by visual content than text, especially a small snippet of clickbait, and LiveBookmarks provides only the title of each post. The release of Netflix' Daredevil was covered by almost every online news outlet, time and again for weeks leading-up to its premiere. Whenever a new poster, interview, commercial, or teaser came out, it ran on TMZ, Bleeding Cool, Comic Book Resources, Yahoo!, MSN, The New York Times (in one form or several), Variety, The Chicago Tribune, io9, The Huffington Post, and pretty much the rest of the Web. Further, as I belong to a number of Groups and Forums regarding these interests, they were cross-posted for days by numerous members. Finally, as many in my social media networks have similar interests, they too shared them and started threads regarding the developments. With an aggregator, I can not only choose the information sources I wish to follow but topics and subjects from them. So, I can choose "Daredevil" as a search term then the information sources to be queried, filtering-out the rest. In this case, I would limit my interest query to sites specifically focused on superheroes, film, streaming entertainment, and comic books. Aggregators that create personalized pages formatted similar to e-zines provide better insight into these articles, allowing me to more quickly assess their value to my needs. The more professional-looking, easier to digest, format also entices me to check out content I would otherwise skip based solely on the weakness of the title or my lack of interest in the subject matter. As a content provider, RSS aggregators have benefited me more than harmed me, sending lots of traffic my way over the years. In fact, the number of RSS subscribers to the blogs vastly outnumber the direct page hit counts, meaning the majority of our readers seem to prefer this method of delivery. Plus, content providers determine how much of our posts are shared through RSS; syndicated/embedded content can be restricted to no more than a headline, just a few lines, or trailing-off at a line break, forcing the reader to clickthrough for the rest of the article. It has the potential to be an e-zine's best asset yet it's been ghettoized due to the fact that few netrunners truly understand how to use it and squandered because they think only in terms of a lack of eyeballs on the page (where most of the banner advertising is located and tracking information is easier to collect and quantify). Most prefer the sleazy, and only arguably more effective, method of flooding social media with controversial clickbait. And, given several social networks' new algorithms limiting audience reach, they have now taken to frequently reblogging content "ICYMI." While this may be an effective short-term approach, that's all it is and those who court controversy, especially for profit, have a tendency of eventually finding themselves on the wrong side of it. Real Simple Syndication (Rich Site Summary), or RSS, is employed on this site to create a richer experience as a small portal into Cyberculture. It runs updated stories from respected technology sources filtered to include "Cyberculture" and "Internet," among others. These are very specific keywords, not all of which are in popular use at this time, but display precisely the news we wish to include when it is available. This makes it easier for you to find related information from sources with which you may not be familiar and leads you to the publisher's site. It's a mutually-beneficial, symbiotic relationship no different than including a hyperlink to the site itself, except that now both sites benefit from more direct traffic.